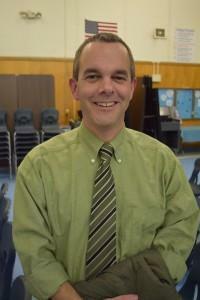 About Us » Superintendent's Welcome! It is my pleasure to share with you that we are in a position to move forward with our March 20th Public Meeting and Straw Poll, a milestone in the process to build a new facility to replace Sumner Memorial High School. This meeting will take place at Sumner High School and will start at 6:00 p.m. This is an opportunity for you to learn about the plans that have been developed for the new grades 6-12 building, get a better understanding of the financial implications of the building project, and be able to ask questions regarding both design and cost. At the end of the meeting, you will be asked to vote (by show of hands) as to whether or not you support the building project, so that it may move forward to the June 11 referendum. At our March 7th meeting with the State, we came to an agreement on a building project budget of approximately $45,000,000. Although the State will fund most of the building project, there will be local costs incurred as there are specific guidelines regarding what the State will and will not pay. Some of the items not funded by the State include additional parking spaces, larger seating capacity in the gymnasium, and additional space for the art classrooms. In addition, there will be a need for increased staffing in order to meet the needs of the students and to run the building efficiently. We continue to work out the final details regarding local expenses and will have those numbers ready to present to you at the meeting on the 20th. The prospect of a brand new facility for our students and our community is absolutely wonderful and exciting. Although there will be increased costs for our school district, there will also be an immeasurable benefit that will come from providing our students a better learning environment. I encourage you to join us on March 20th to gain a greater understanding of the opportunity before us and the impact on our school district. As always, I encourage you to check out the most up-to-date information by going to our website www.rsu24.org and clicking on the New Building Project link. Please feel free to contact me directly with any questions or concerns that you may have. I can be reached at 422-2017 or meastman@rsu24.org.